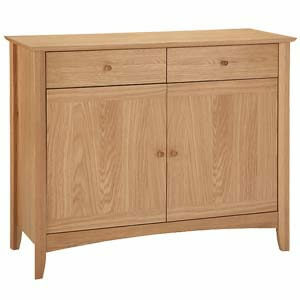 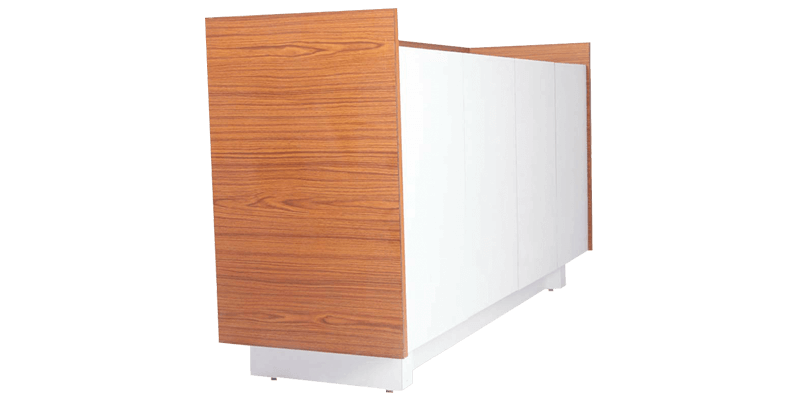 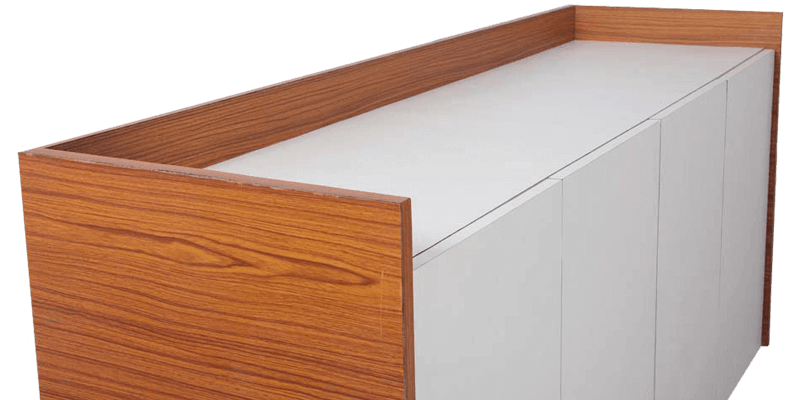 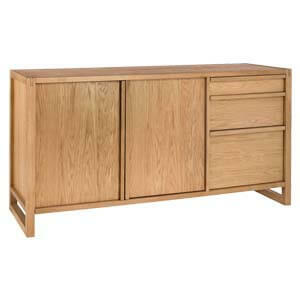 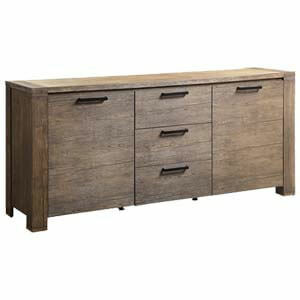 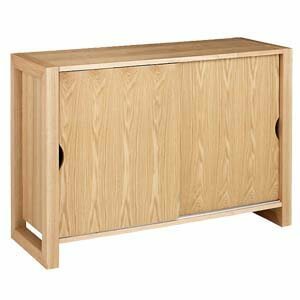 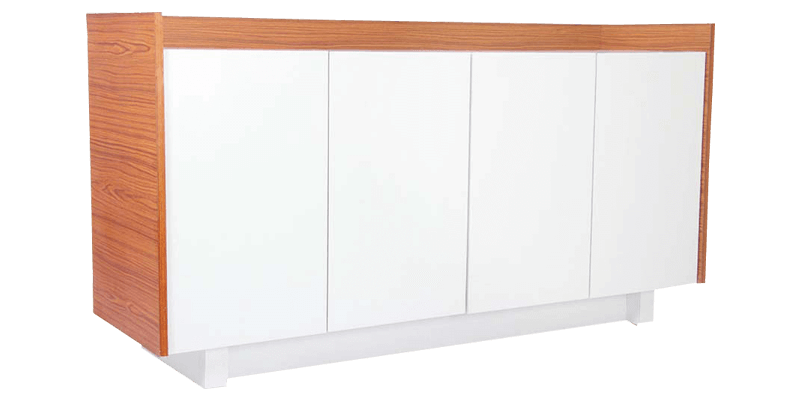 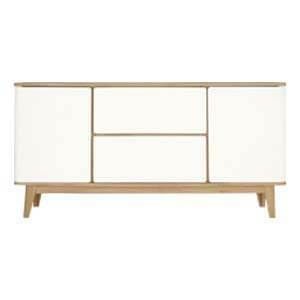 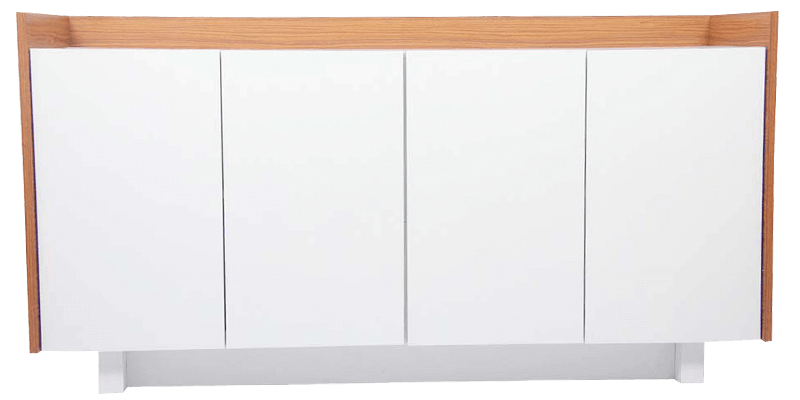 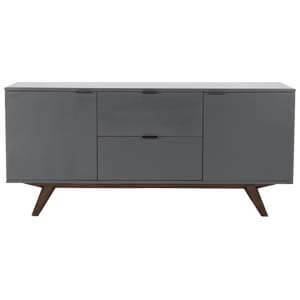 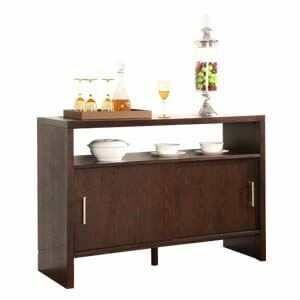 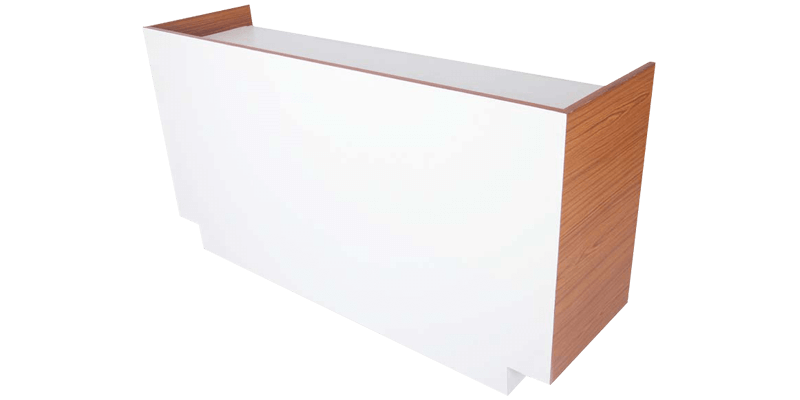 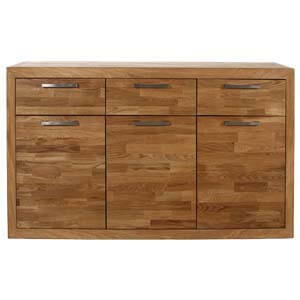 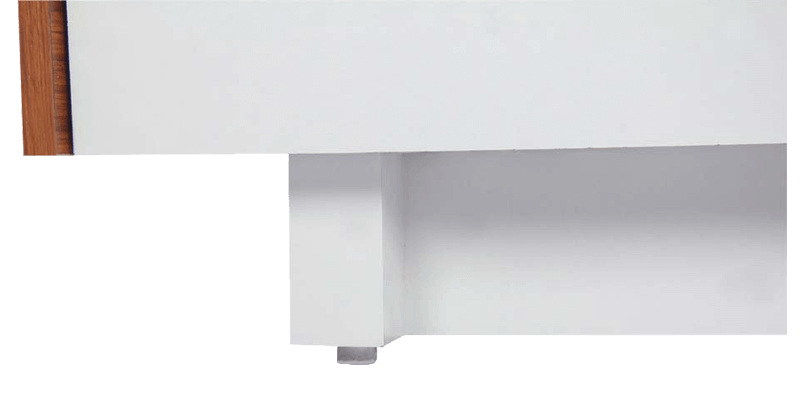 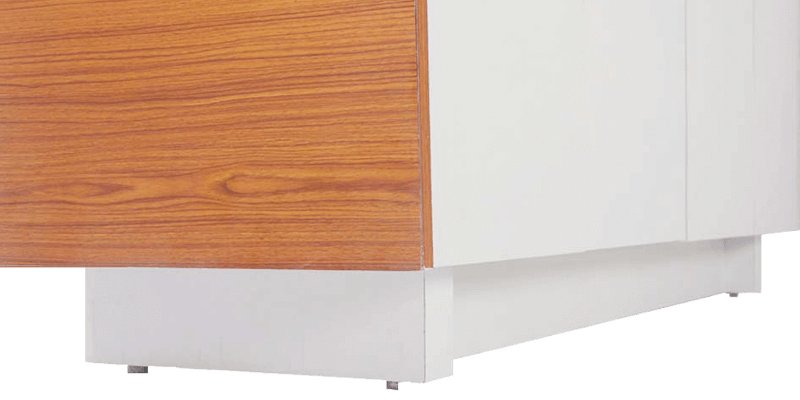 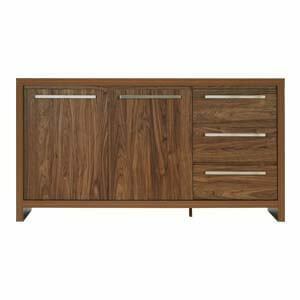 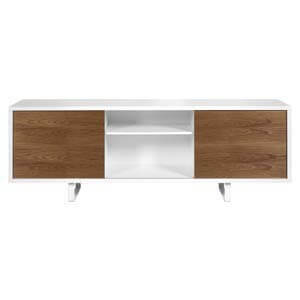 This four door sideboard is an immediate attraction due to its sleek and functional design. 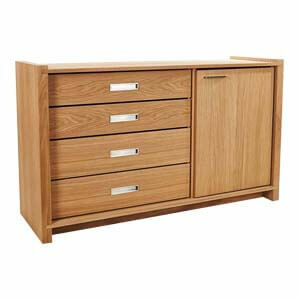 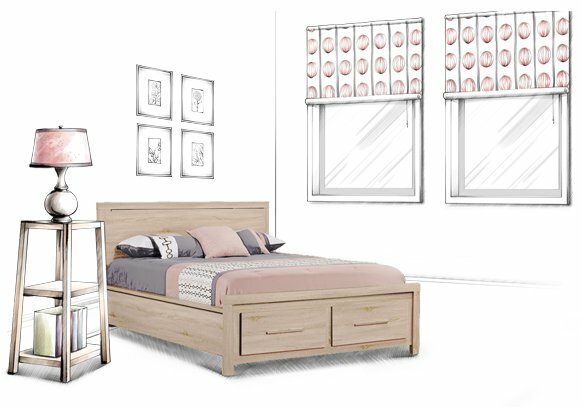 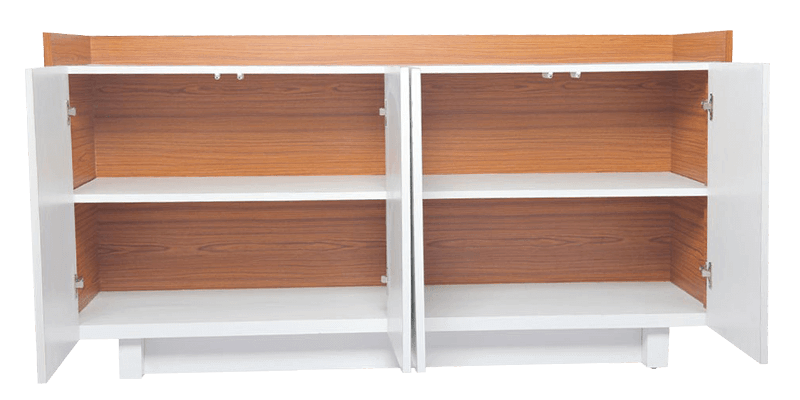 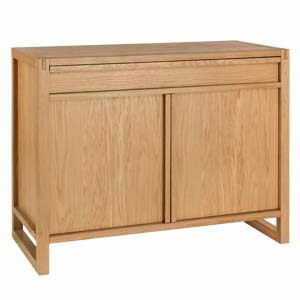 Its four front doors have four large shelves allowing the unit to provide room for ample storage. 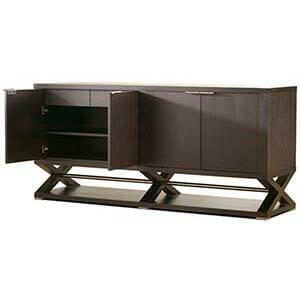 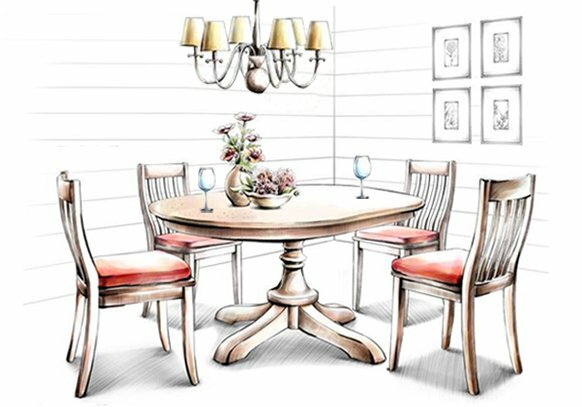 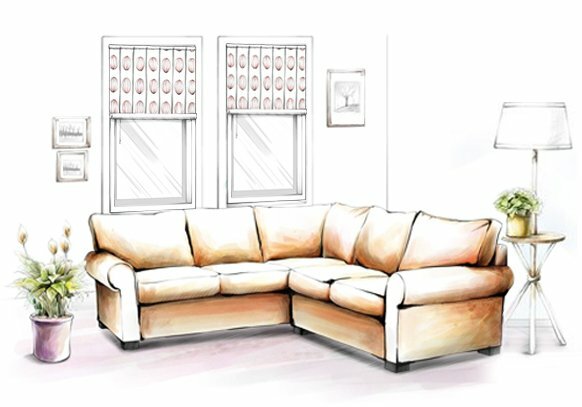 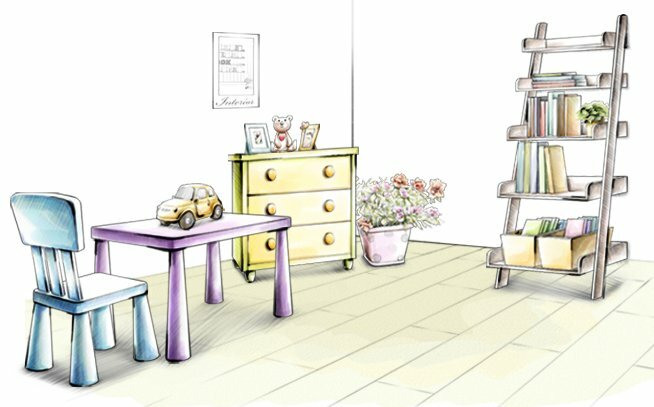 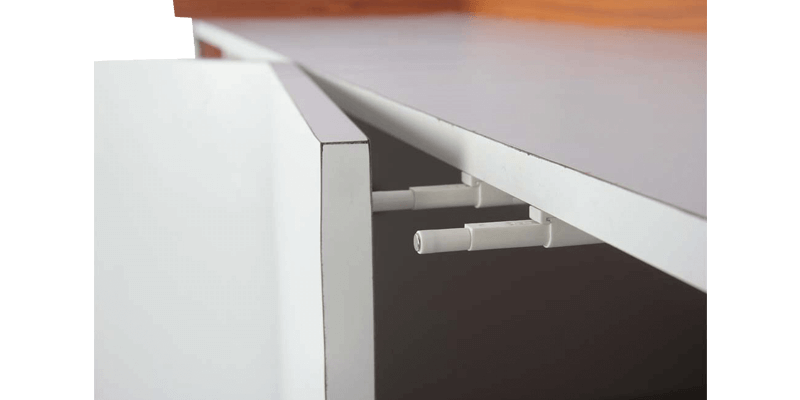 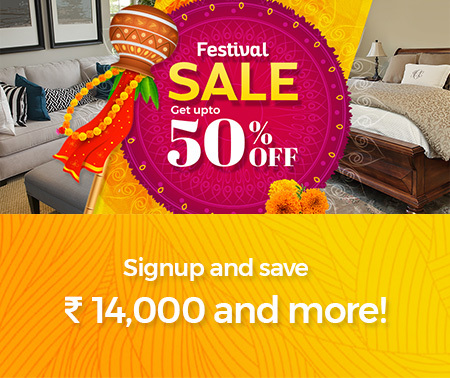 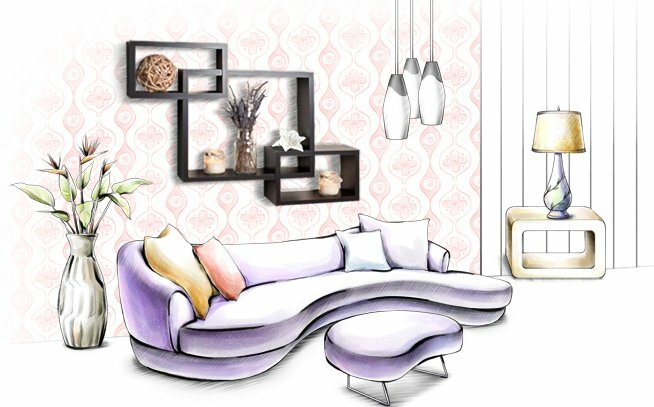 Furthermore, the entire unit is handmade thereby adding a very personal touch to it. 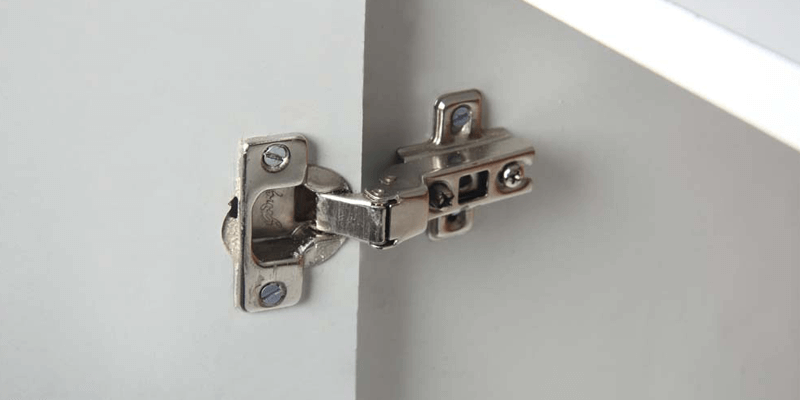 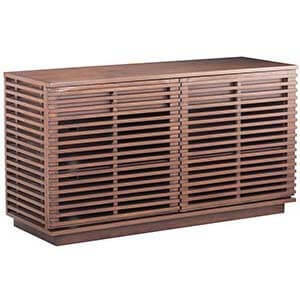 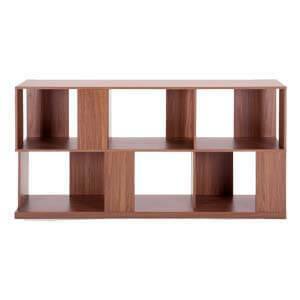 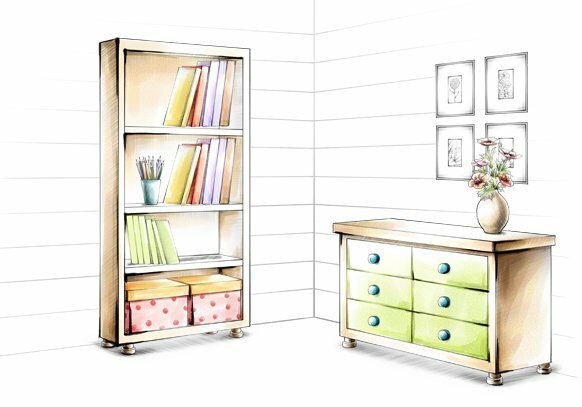 Sturdy construction can be used for storage as well as display.